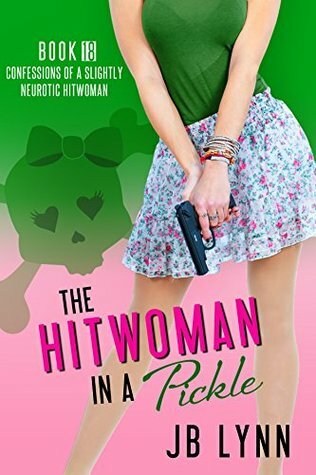 This post is sponsored by JB Lynn, author of The Hitwoman in a Pickle. Life's wounds come at us from many directions. They are William Shakespeare's "slings and arrows of outrageous fate". Sometimes they are delivered by those closest to us. Sometimes they aren't even true. The wound is real, but not the perceived hurt behind the arrow. Amazon affiliate links are used on this site. Please note that this book is for MATURE teens. Author Gae Polisner writes books about the lives of young people. Teens are her forte. 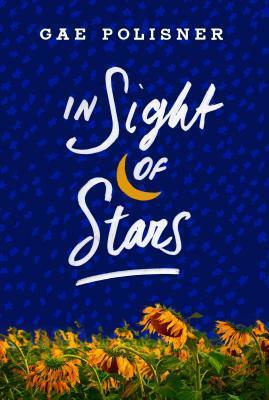 In Sight of Stars tells the story of the road that an 18-year-old boy, Klee, struggles to navigate in the wake of his father's suicide. His mental breakdown and subsequent stay at a psychiatric treatment facility are raw and filled with confusion. For a while it isn't clear if he'll ever get to go home or try to resume his life. Everything that contributed to his downward mental spiral turns out to be from his mother's efforts to protect him. Like most parents, she thinks some issues are just inappropriate to share. They are adult problems not meant for her child to know. The residents and staff at the Ape Can - which is the irreverent description for the facility where Klee has been taken - are key to unlocking what he doesn't understand. Their portraits are drawn from real people Polisner has known, both professionally and from her knowledge of confused teens. Their words are a balm to young fears and dilemmas. The wisdom in these pages is like a literary therapy session, comforting the mind while helping to solve the puzzles. I found the story a bit difficult to get "into" for a few dozen pages, mirroring the tangle of Klee's mind, but as I began to make sense of it, I fell in love...in love with the nun who has triumphed over dwarfism, the understanding therapist, and the positive message of healing.